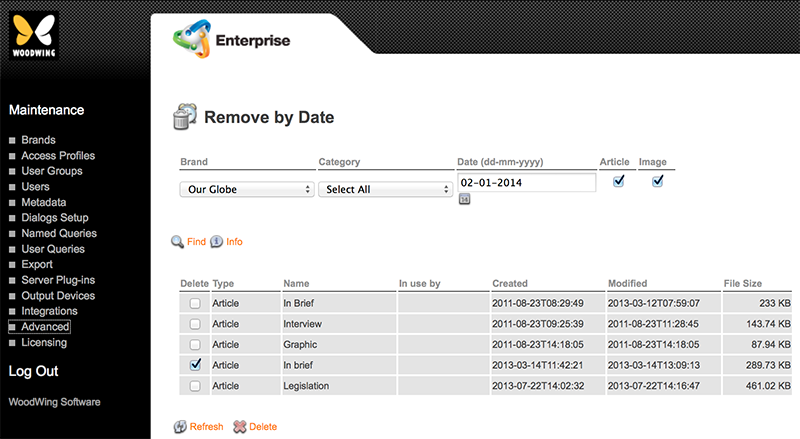 The Remove by Date Maintenance page in Enterprise Server 9 is used for removing unused articles and/or images from Enterprise Server that have been added before a specified date. Step 2. Click Remove by Date. The Remove by Date Maintenance page appears.